Custom Home, designer finishes, Lake Front Property with wrought iron fence & sprinkler system in Deer Creek Schools!!!! Chose from one of three spaces in your new garage to pull into at the end of the day. Enjoy the Open Floor plan with Custom Island separating the Living from the Kitchen and Dinette which ALL overlook the neighborhood lake and playground. The designer paint, fixtures, cabinets, and finishes from the front door to the covered back patio set your new home apart from all others throughout Deer Creek. Are you looking for a new home that offers soaring ceilings, oversized laundry room, three car garage, spacious bedrooms, a Master Suite that will leave you breathless when previewing and a Master bath that will help you soak the days stress away, You Have to Come See This Home. 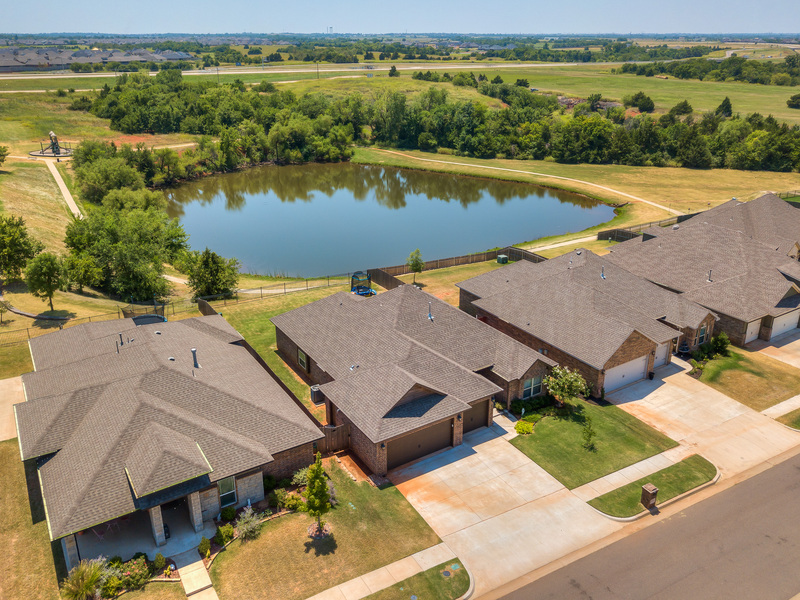 Just the back patio and VIEW provide amazing features that you are sure to fall in love with AND to top it off, your new home backs up to the neighborhood LAKE! Come see your new home Today!! !